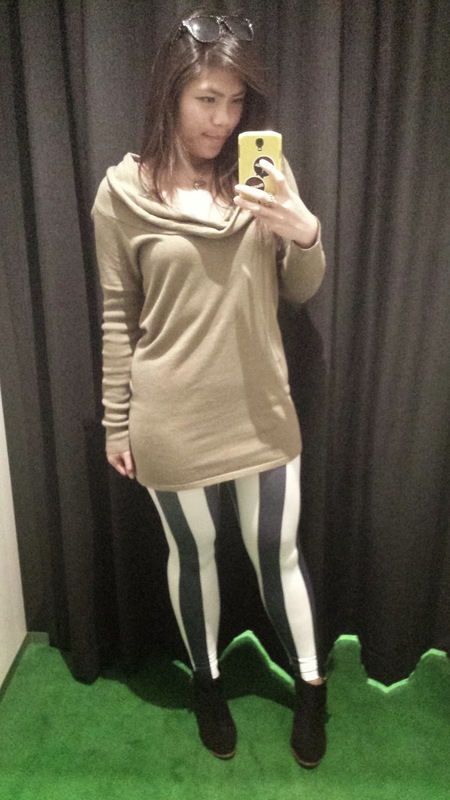 One of the museum pieces I had wanted when I first started out in Blackmilk. sis managed to track it down for me and yet another comfortable staple piece to own! 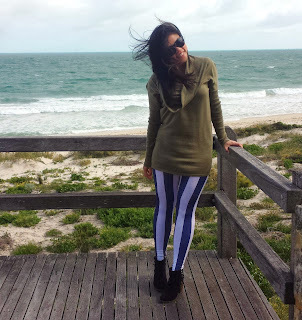 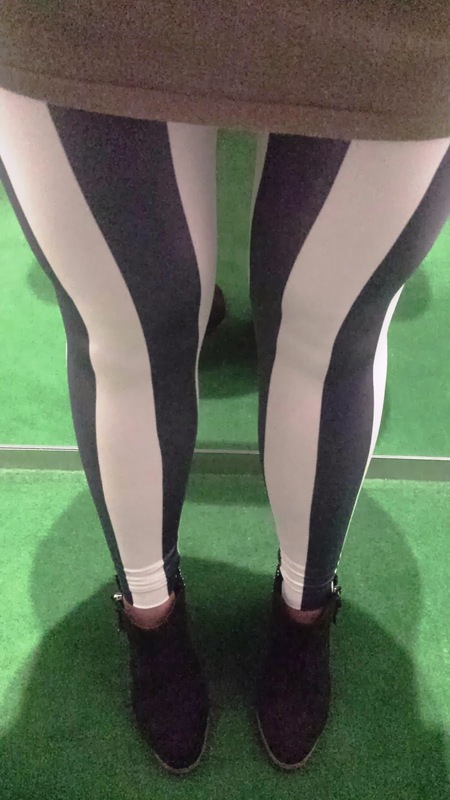 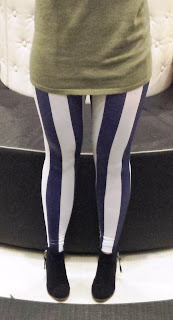 I looked horrid in the Beetlejuice legs but the wider stripes here seemed to work better. The white parts are abit sheer so one has to be careful for the underwear eh! 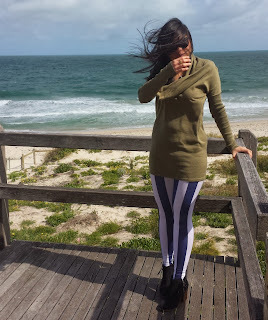 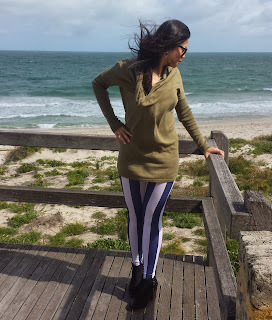 Paired it with a camogreen Supre knit top and Kmart studded boots for a winter day out! 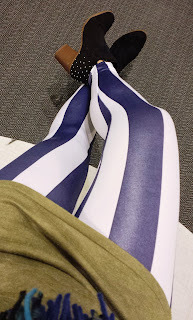 You can see the shine of the wetlook here under the lights.